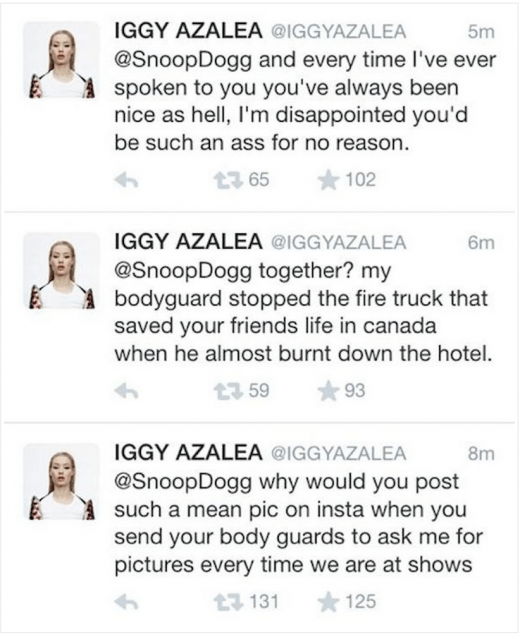 Iqqy is called a liar … for claiming her bodyguard saved the life of Snoop’s friend in a hotel fire in Canada. Daz says HE was the one who kicked down the door and saved the guy’s life … while Iggy’s bodyguard had already left with her. This is how Snoop decided to end the night before he decided to post his promotion of White Chicks 2 starring Iggy Azalea! What do you think? Iggy does look like Marlon Wayans in White chicks though. This is hilarious! Goodnight uncle Snoop! 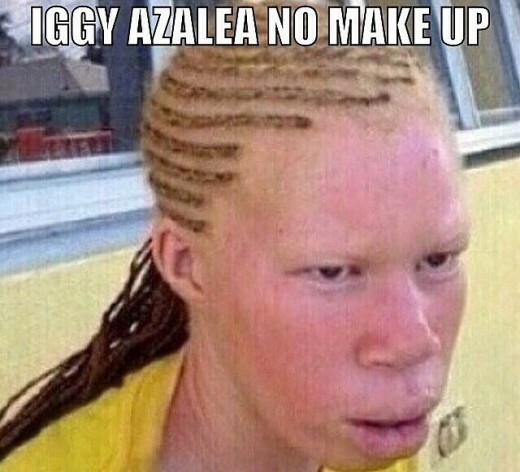 Hefe Wine a Scumbag- Or Iggy Azalea A Beautiful Liar? 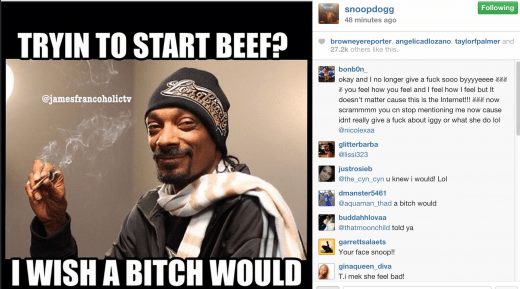 I think Snoop is an icon but I am never a fan of a man calling a woman out of her name. It’s just not a good look when men engage in angry bird beef with women! This little back and forth between him and Iggy has gone way too far. 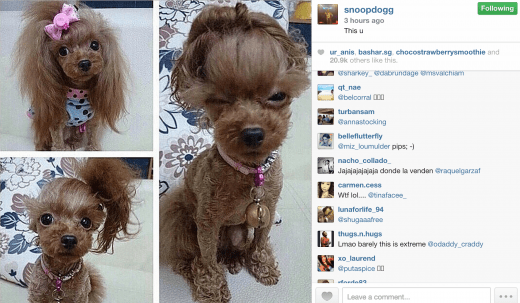 How old is Snoop?! Besides, he has a sweet daughter that he treasures. I know he wouldn’t want anyone to disrespect his child. I think he should fall back and apologize. His comments are teetering on cyber bullying! I feel kind of sorry for the poor girl.